IPL, the cricketing extravaganza is on its roar, and to add some nail-biting contest the rivalry week of the IPL has just started. Today Mumbai Indians will take on Royal Challengers Bangalore at Wankhede stadium in Mumbai. MI and RCB have come face to face once in this season and RCB had to face a 6 run defeat in a close encounter. This will be the 31st encounter of IPL 2019. In this match, they might look to take their revenge of the last defeat against Mumbai Indians. 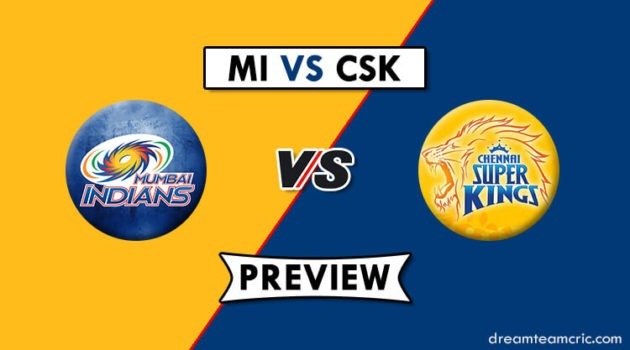 We are covering MI vs RCB Dotball Team Prediction, Preview and Probable Playing XI for the T20 match. Mumbai Indians are coming with a humiliating defeat on their back in this match against RR. 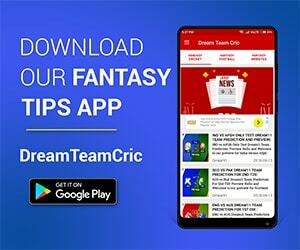 They saw a major collapse in the middle order of the team in the match against Royals. The inexperience in the middle order of the team got exposed in that match. They will most probably look to add some depth and experience in their batting, which means another chance for Yuvraj Singh is on the line and he can be added into the playing11 of Mumbai Indians. With Jos Buttler hitting Alzari Joseph everywhere in the ground in an easy manner, might have dented his reputation in MI that can indirectly pave a way for Lasith Malinga in the team for the upcoming encounter. After a rough patch of 6 matches in which RCB faced consecutive defeats looks like are back on the track. They have won their 1st match of the tournament against the strong team of KXIP. It will be a great thing to watch whether this win can turn the tables for RCB in IPL 2019. They have an unbreakable pair of Virat Kohli and AB De Villiers are there and major responsibility is on their shoulder to carry their team through the tournament. In the last match, the team looked gelled up together and performed well as a team. With Dale Steyn joining the squad the bowling issues might get resolved in the upcoming matches of RCB. RCB needs to work on their middle order which is vigourously weak. They have to plot some players in the middle order who can bat well in the slog overs and if this gets resolved then RCB will look like a much stronger team than before. Spinners will get a lot of help from the wicket and batsmen will have a tough time to face the spinners on this venue. The team winning the toss will most likely choose to field as per the records. RCB can look to bring Shemron Hetmyer in the team, to add some batting depth. Navdeep Saini has been the only bright spot in the team leaving their international famous cricketers aside. Alzarri Joseph has failed to deliver in the last 2 matches for Mumbai Indians. So in this match, it is almost confirmed that Lasith Malinga will feature in the playing 11. Ishan Kishan has not been impressive till now with the bat and can make a way for Yuvraj Singh into the playing 11. With an economic performance by the foreign players, Dale Steyn has to wait for his 1st match of this season after getting roped into RCB as replacement of Nathan Coulter Nile. Mumbai Indians: Rohit Sharma (C), Quinton de Kock, Evin Lewis, Ishan Kishan, Suryakumar Yadav, Siddhesh Lad, Krunal Pandya, Hardik Pandya, Kieron Pollard, Ben Cutting, Mayank Markande, Jasprit Bumrah, Barinder Sran, Rasikh Dar, Mitchell McClenaghan, Lasith Malinga, Jason Behrendorff, Anukul Roy, Anmolpreet Singh, Yuvraj Singh, Pankaj Jaiswal, Aditya Tare, Rahul Chahar, Alzarri Joseph and Jayant Yadav. Royal Challengers Bangalore: Virat Kohli(C), Parthiv Patel, Devdutt Padikkal, AB de Villiers, Gurkeerat Singh, Akshdeep Nath, Shimron Hetmyer, Colin de Grandhomme, Shivam Dube, Himmat Singh, Milind Kumar, Marcus Stoinis, Moeen Ali, Pawan Negi, Washington Sundar, Prayas Ray Barman, Heinrich Klaasen, Yuzvendra Chahal, Umesh Yadav, Mohammed Siraj, Navdeep Saini, Kulwant Khejroliya, Tim Southee, Dale Steyn. Mumbai Indians – Rohit Sharma (c), Quinton de Kock (wk), Suryakumar Yadav, Ishan Kishan, Kieron Pollard, Krunal Pandya, Hardik Pandya, Rahul Chahar, Jason Behrendoff, Alzarri Joseph/Lasith Malinga, Jasprit Bumrah. Royal Challengers Bangalore – Parthiv Patel (wk), Virat Kohli (c), AB de Villiers, Moeen Ali, Marcus Stoinis, Akshdeep Nath, Pawan Negi, Umesh Yadav, Yuzvendra Chahal, Navdeep Saini, Mohammed Siraj. Both are playing extremely well with their willow and are in good form. Wankhede stadium is the home ground of both the batsmen, so it looks like it will be their day with the bat. Virat Kohli and AB De Villiers played extremely well in their last match against KXIP. Both have looked very sincere with their batting in this season and will look to continue same in this match against MI.